Baileys is giving consumers in Nigeria a chance of a lifetime to meet with Mary .J. Blige. Baileys is offering its consumers an opportunity to watch MJB rehearse, being interviewed and also ask her their own questions. 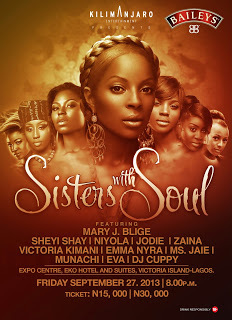 This event will be the hottest event this weekend with performances by Sheyi Shay and a host of other female artistes.